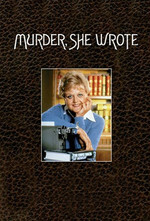 Jessica is asked to come to Quebec to testify at the trial of a friend and fellow write, Jim Harlan, who is accused of killing his wife Patricia, and then burning their country house to cover the crime. Jim's mother, Judith, hired the best defense lawyer, "the very best man in Canada," Attorney Oliver Quayle, who tests JB's patience with his tactics and style. As a Canadian, this has to be worst and most jarring episode of all. It was an unreasonable facsimile of Canada, and it made paying attention to the actual plot a challenge. Also: Clever writers put Jess on the witness stand and grill her about the bizarre likelihood of two nieces and a nephew being charged with multiple murders, to which Jessica can only stammer a defense. Lansbury played that scene just beautifully. Also: Clever writers put Jess on the witness stand and grill her about the bizarre likelihood of two nieces and a nephew being charged with multiple murders, to which Jessica can only stammer a defense.